A couple of weekends ago, I found myself needing some sort of application to manage the annual budget for aTech but manage my personal monthly budget. 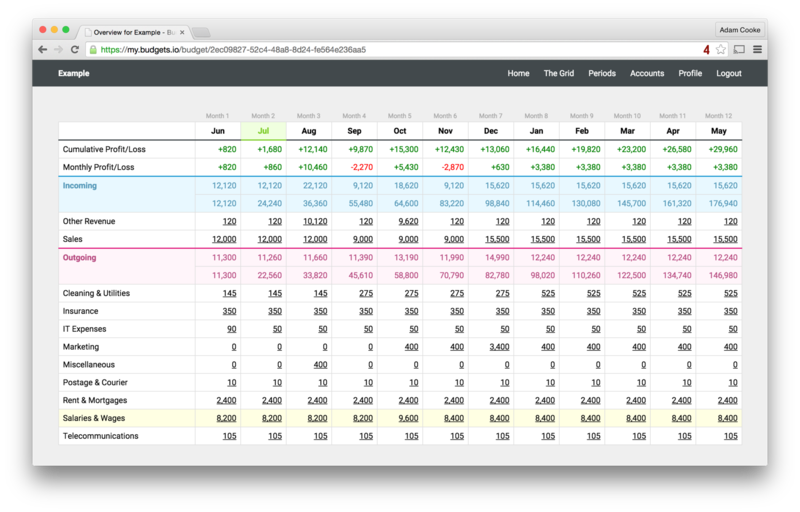 I tried to create an Excel spreadsheet but found it wasn’t quite powerful enough so I made a little Rails app to handle it for me. So… here’s Budgets. It’s quite a simple app which allows you to easily forecast your spending over a period between 3 and 12 months. You can split your anticipated incomings & outgoings into months by adding entries into accounts which you can configure. These can either be recurring or just one-off items. We’re using this now to manage all the forecasting for aTech, Viaduct and Dial 9. I’m also using it personally to manage our monthly budgets. Without wanting to blow my own trumpet, I’m finding it really useful. I’ve designed a little one-page website too which Rob kindly HTML-ized for me in less than an hour. 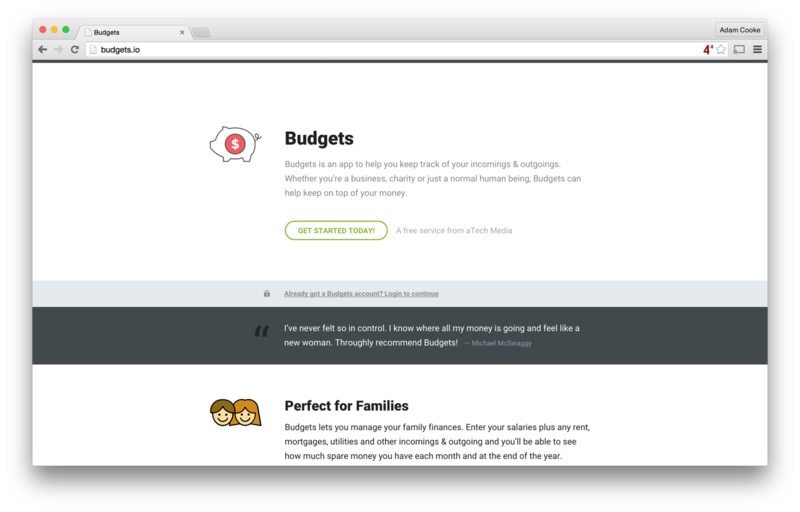 It’s completely free to use at budgets.io and I’ll likely release the source code for this in the near future.